For those who don't know, Saburo Sakai was, during WWII a fighter pilot in the Imperial Japanese Navy. Through most of his flying career he flew the famous Mitsubishi Zero in it's various models. He had, by his accounting 3,700 hours flying time, with at least 1,500 hours of that in Zeros. He first entered combat in 1938 in China, flying the A5M "Claude", a low-wing, fixed gear, open cockpit fighter. He later transitioned to the Zero and flew that until August of 1942 when he was severely wounded in a fight with American Douglas SBD dive-bomber aircraft. 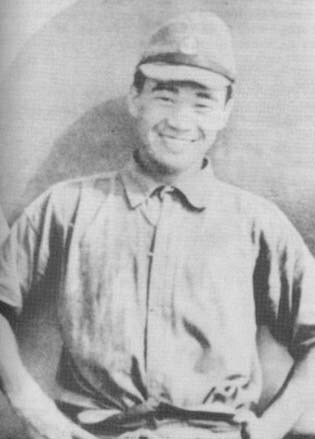 Once he was returned to Japan he found out that he lost the use of one eye completely, and just barely retained the use of the other eye after a painful operation without benefit of any sedatives. The result was that he was grounded. He was however, able to contribute to the IJN training program to help train new pilots. This was a post he remained at until late in the war when Japan needed all the experienced pilots she had left, even if they couldn't see all that well. He returned to active duty, by this time he was an officer, having been promoted to the rank of ensign in 1944. This was a record in the IJN, going from enlisted man to officer rank in 11 years. He then continued to fight on, still flying the Zero, even though it was the latest design model of the Zero, it was long obsolete. Yet he continued to fly right up to the very last day of the war. His survival can be attributed as much to his flying ability as to the green American pilots he met in aerial combat. In one dogfight he had near Iwo Jima, he managed to get away from a squadron of US Naval F6F Hellcats, bigger, faster and in general better than the Zero he flew. In that particular action, Sakai credits his survival to the great likely hood that the American pilots were green, with very little if any combat experience. Upon landing he discovered he had just one bullet hole in his aircraft! Most historians estimate that Sakai shot down something in the vicinity of 60-64 enemy aircraft. Japanese records on this have always been sketchy at best. In general, the Japanese military did not credit individual pilots with victory claims. Instead they gave credit to the squadron as a whole. This stems from the tradition of serving for the greater good. The award of medals was very rare as well. It was only late in the war when the Japanese Army started giving medals to their pilots while they were still alive. Typically, a pilot who was killed in action against the enemy would receive a medal posthumously, while a pilot who survived, regardless of whether his contribution was greater than that of the one who died, would receive nothing other than possibly the thanks from his superiors and fellow pilots. By the way, Mr. Sakai never claimed to have shot down 64, or ANY specific number of enemy aircraft. This number was arrived at by Martin Caidin using his own methods. It has since been accepted by Japanese air historians who have taken a conservative approach to ALL Japanese air victory claims and applied a blanket modifier of 50%. In other words, they multiply all Japanese claims by .5 and use the resulting number as a base. This gives Sakai a range of 32-64 victories. Personally, I don't think you can judge a man by the number of victories he has claimed or have been confirmed. You have to judge his character. And Saburo Sakai was NEVER lacking in character. After the war, Saburo Sakai managed to open a small printing shop, a business at which he became successful. And he also managed to help other former military men as well. The climate in Japan for former military men was not good at first. Whenever and where ever they went in search of a job, the common retort was "You are a militarist! We don't want you here!" Sakai was fortunate that he was able to start his own business. Many could not, but he helped as many as he could to recover in a time when the whole nation was rebuilding from the devastation that was the result of World War II. Regardless of what you may have thought about the Japanese and their part in starting WWII, Saburo Sakai was one man. A man who fought for his country, right or wrong. A man who held honor in the highest regard and NEVER lost his cool under any circumstances. A man who's loss is a loss for the world, not just Japan. I doubt we shall ever see his like again.